Bluegrass Pundit: Was the Trump-Russia conspiracy theory launched by John Brennan and the CIA? Was the Trump-Russia conspiracy theory launched by John Brennan and the CIA? Stefan Halper has been named by the media as the informant spy who was meeting with Trump campaign advisors in in July of 2016. Halper's first meeting with Carter Page was reportedly in early July 2016. This is before the FBI claims they had information a drunken Papadopoulos claimed to Australian Ambassador Alexander Downer he knew who had Hillary’s emails. The FBI has claimed this conversation was what launched the counterintelligence investigation into the Trump campaign. Let's assume the FBI is being technically factual about the July 31, 2016 start date of their investigation. If Halper wasn't working for the FBI at the time, who was paying him? Federal records show that Stefan K. Halper has been paid $928,800 by the Federal Government since 2012 on four separate "research projects"
The FBI would be unlikely to have had enough criminal cases relating to people in Great Britain, where Halper was located, to spend that kind of money. The likely answer is Hapler was doing work for the CIA. That would mean the initial contact may have been a CIA operation launched by John Brennan. 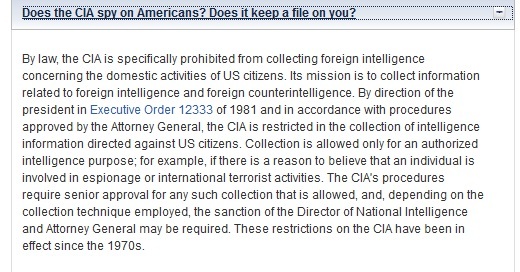 The CIA is strictly prohibited from spying on Americans except under certain circumstances and it requires senior approval from several people. Under the rules, there would have had to been evidence of involvement in espionage. What was this evidence? Remember this informing spying started before the FBI had information about the drunken Papadopoulos bar conversation with the Australian ambassador that the FBI claims caused them to launch their investigation. At that time, all they had was the very early part of the Steele Dossier. Steele reportedly first met with an FBI agent in London on July 5, 2016. Then, shortly afterwards, Halper first met with Carter Page. So, either the FBI is lying about when they started their investigation, and why, or they handed off the initial investigation to the CIA because they didn't have enough to launch an investigation on their own. Either way, the Steele Dossier seems to be the real reason the investigation got launched. If the CIA was involved, it would have required the approval of CIA Director John Brennan, DNI James Clapper and Attorney General Loretta Lynch or, alternately, John Brennan went rogue. This likely goes to the highest levels of the Obama White House, perhaps even Obama himself. As a side note, what's up with the leaking of Halper's name and involvement by the deep state? They are certainly trying to get the initial spin on this spying as something innocuous since it was going to come out eventually. However, I think the main spin is to portray Halper as an FBI informant and hide the CIA involvement because that opens a huge new can of worms. Note: Edited to correct information about Papadopoulos bar conversation.